Join us from 9 AM - 2 PM. Admission $5. 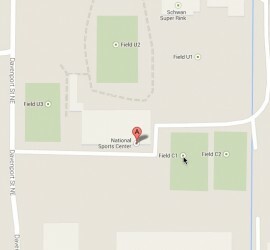 Find the National Sports Center Expo Center. All the details buyers or sellers could ever want! ATM on site. Coffee and food available. Register online for your table or booth space. The 2019 Twin Cities Bike Swap is Sunday, February 10. What better place to find the perfect Valentines Day gift than at the Bike Swap where any and all things bikes can be found. This has become an institution on the Twin Cities cycling scene that you do not want to miss. This year, we return to the spacious Expo Center at the National Sports Center campus! Explore over 11,000 sf of bicycle treasure! 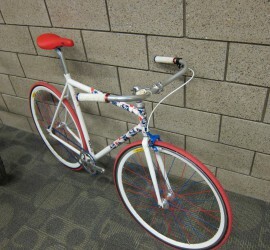 You’ll find everything from BMX and mountain bikes, to vintage road and track racing equipment. The Expo Center has easy access and free parking. All proceeds from your $5 admission fees support the National Sports Center Velodrome.